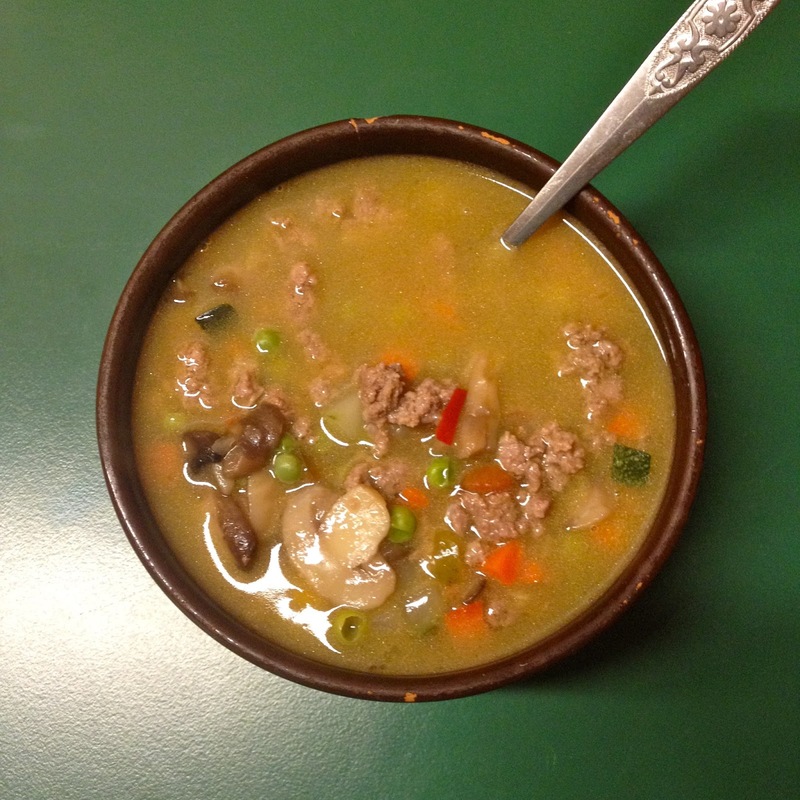 This is very tasty soup that will warm you up on a cold day. Also very filling hence the fat content. Get a pot with about 500 grams of water boiling. When it’s boiling rapidly, add in the stock cube and let that desolve. Now add in the vegetables and mushrooms and cook until the veggies are soft. While your veggies are cooking, preheat a pan to medium high heat and fry the minced meat. Since my minced meat if always with a high fat content, I don’t need to add any oil. Season with salt and pepper and also fresh or powdered chili (if you want to). When the veggies are done, add in the meat. Let everything boil for another 2–3 minutes and serve. The whole recipe is 1800 kcal, 100 grams of protein, 27 grams of total carbs (including 5 g of fiber so about 22 g of net carbs), 142 grams of fat. If divided into 2 servings, one serving is 900 kcal, 50 grams of protein, 13,5 grams of total carbs (including 2,5 g of fiber so about 11 g of net carbs), 71 grams of fat. NB! You can always use different vegetables to get a lower carb content. My mix had carrots and peas that gave quite a lot of carbs. If you were to use cauliflower, cabbage, spinach, broccoli etc, you would get a much lower carb dish.